Can You Salvage Roadkill Deer In Your State? 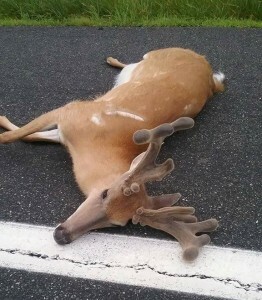 From Popular Science: Jessica Mundall came across a dead buck while driving. The animal had just been hit and killed by a semi-truck, and was still “super fresh.” She and her husband, both hunters, processed the deer on the side of the road…. Idaho is one of 20-some states that allow the free salvage of roadkill animals (you simply need to report your take to the state and answer a few questions within 24 hours). Other states that allow it include Washington, Pennsylvania, Oregon, West Virginia, Montana, Tennessee and Alaska. 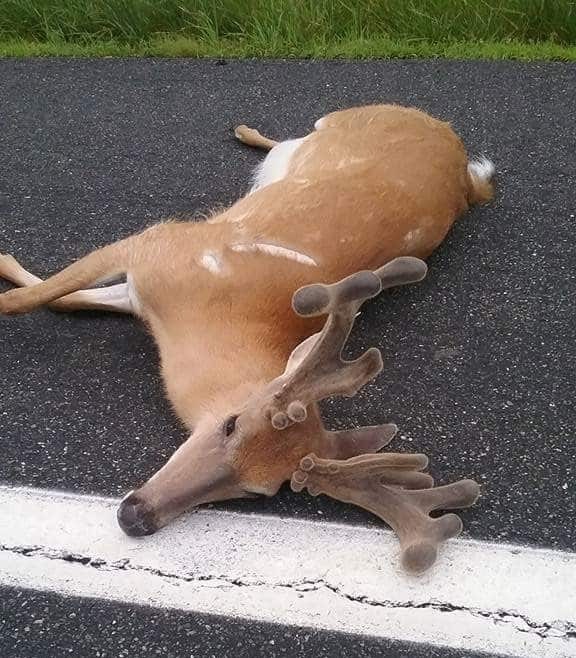 There are some obvious concerns: Is a car-struck deer salvageable or too damaged…? Is the meat still fresh or spoiled…? In a CWD area, is the meat safe to eat…? But according to State Farm Insurance, an estimated 1.33 million deer will be struck by vehicles this year. A lot of those animals will be salvageable, so that’s a lot of fresh red meat for our freezers, or for a shelter. Why don’t all states allow a person to recover, take home and eat a dead deer if you’re willing to take a picture of it and get a salvage permit? This seems to be a win-win. Would you salvage a roadkill, or maybe you already have? This entry was posted in Big Bucks, Big Deer TV, BigDeer, Deer Hunting, Hunting News, Sportsman Channel, whitetail deer by admin. Bookmark the permalink. I’ve salvaged roadkill several times. I haven’t been able to hunt deer the past two years. After seeing dozens of fresh roadkills recently I decided to get some venison that way. I tried a couple years ago and the processer said no-go and it was from the night before and it had been around freezing out. So be careful! It is usually a race to claim one in my part of Indiana, lots of hunters.